These pieces make great Baby Name gifts or Christening Presents. 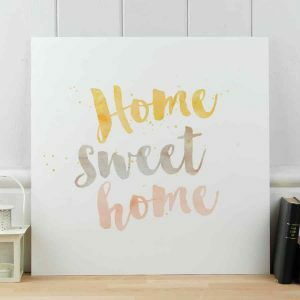 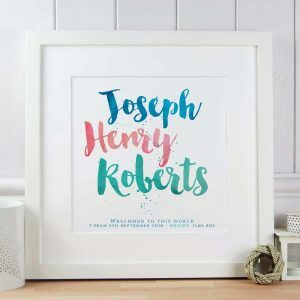 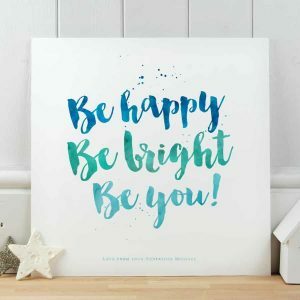 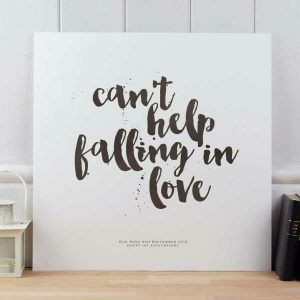 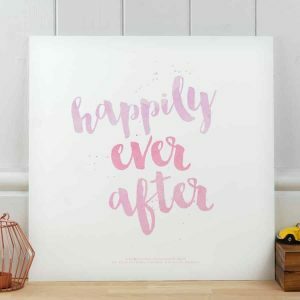 Wonderful name prints produced in a handbrushed font and different watercolour ink effects–just add time, date of birth, Christening date or personal message to the bottom of the print. 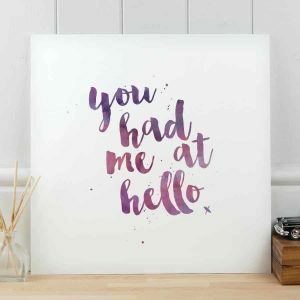 Printed on 300gm acid free off-white Artists watercolour paper and all our prints arrive with an off-white mount. 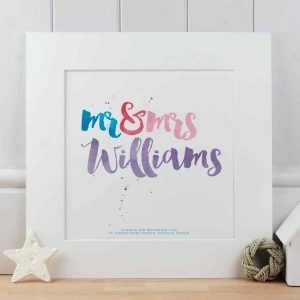 You can also choose to have your print framed and this option also comes with gift box included (+€30). 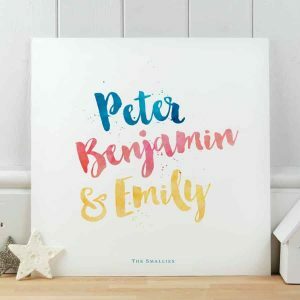 Printed on our Archival printer, these prints are guaranteed to never fade.